Some say that Dubai has it all: the world’s tallest building, the world’s largest amusement park and the largest shopping mall. 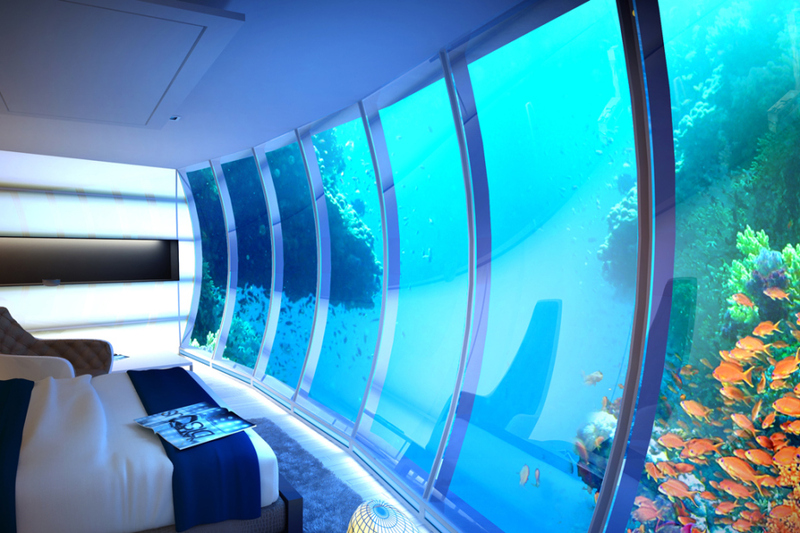 Now it can add something else to its long list of accolades: the world’s largest underwater hotel. 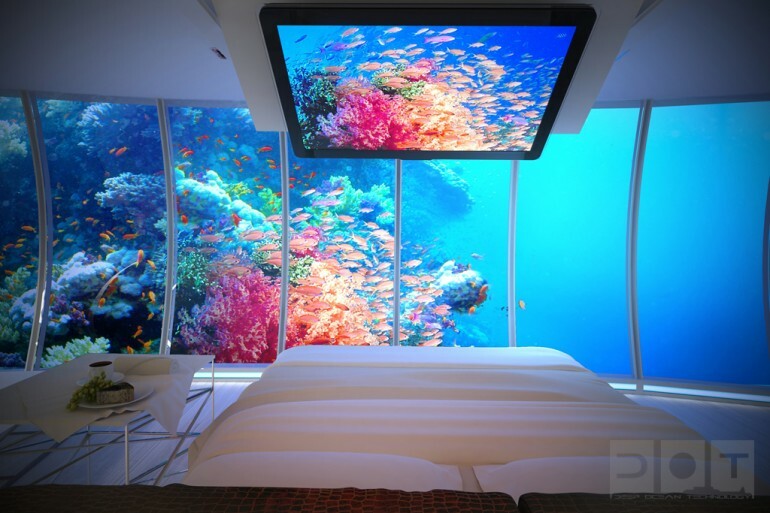 The Discus Dubai, backed by Swiss company Deep Ocean Technology, will be surrounded by a “beautifully vibrant coral reef”. It is divided into two main discs – one above the water and one below – connected by five solid legs and a vertical shaft that contains a lift and a stairway. 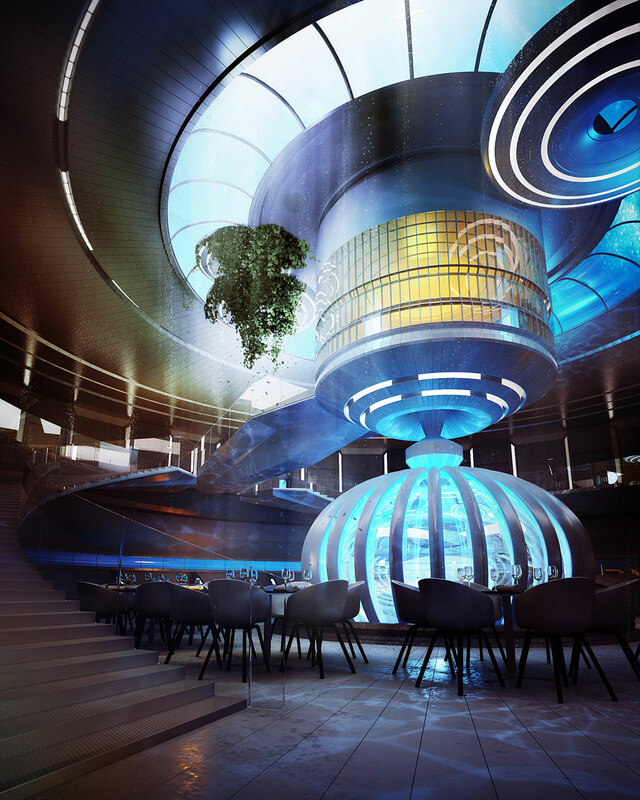 There will be 21 suites, some located between 10 and 30 metres beneath sea level, and facilities that include a snazzy bar and an enormous swimming pool or dive centre at the centre of the disc. Special lighting of the areas outside the rooms and underwater vehicles can be operated from within, allowing guests to take a closer look at the seabed outside. 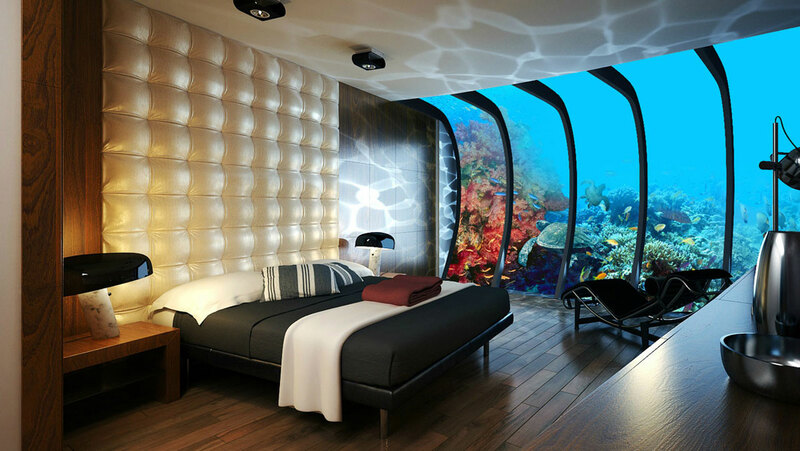 The Discus may be the largest, but it isn’t the first; there are quite a few luxury hotels that have underwater features in the Maldives including a spa at Huvafen Fushi, the Ithaa undersea restaurant and Niyama nightclub. 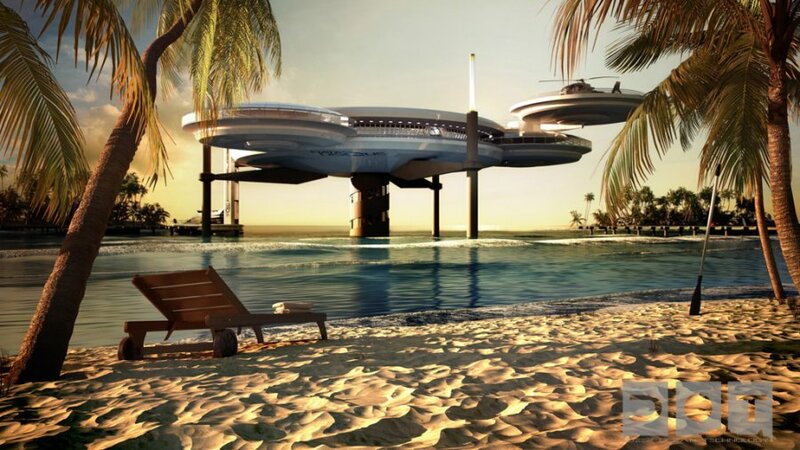 Moreover, it isn’t the first attempt at building an underwater hotel in Dubai: plans for the Hydropolis, the world’s first underwater luxury hotel and resort, were abandoned in 2010 when the recession hit and many other projects that lacked commercial viability where permanently stalled. Estimated to cost $300 million, the Hydropolis, if it had been completed, would have ranked among the world’s most expensive hotels. For the moment though, thrill seekers on Dubai holidays will have to make do with the Discus, which emphasises water sports, and provides equipment to guests along the lines of 3-passenger submersibles for exploring the depths of the ocean, plus motor boats, jet skis and underwater scooters.